On Wednesday, 22 August, the anniversary 10th Roma Spirit 2018 launched the Get nominated period of recognition of actions and people’s efforts to improve the status and life of Roma in Slovakia. The wide public has the opportunity to send nominations of their favorites in seven categories by post, email or by completing the online form directly on the website by September 30, 2018. Anyone, who recognizes people, companies or organizations in his neighborhood, whose activities are worthy to be followed and contribute to the elimination of discrimination, destroy stereotypes and prejudices and bring equal chances for everyone without a difference, is encouraged to submit nominations and thus highlight examples of positive practice in the life of the Roma community and the harmonious coexistence of Roma and non-Roma people. “The Roma Spirit event has been here for 10 years. It is good that positive examples and patterns come out to the public. Without visible good examples, we would move much more slowly, “Ábel Ravasz, the Plenipotentiary of the Slovak Government for Roma Communities, told at a press conference. “I am delighted that again, on the occasion of the Roma Spirit Award, we can celebrate those who clearly show us the message that in each of us there is the potential to contribute to a positive change,” he added. Announcers of the 10th annual Roma Spirit 2018 are the Association for Culture, Education and Communication (ACEC), national broadcaster Radio and Television of Slovakia, and the Office of the Plenipotentiary of the Government for Roma Communities. The event takes place under the auspices of the President of the Slovak Republic Andrej Kiska. For the first time, the Roma Spirit, as a partner in the Non-Governmental Organization category, has been joined by the Carpathian Foundation, which has long been supporting non-governmental organizations that improve conditions and the situation of the Roma minority in Slovakia. “We are well aware of the demanding but very effective work of many organizations that give Roma a chance for a full, productive and happy life. 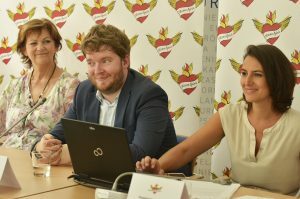 With the Roma Spirit partnership for the NGO category, we want to celebrate and award the great work of these organizations and the people behind them,” said Laura Dittel, director of the Carpathian Foundation, at a press conference. Nominations are open in the categories Personality, Culture, Municipality and Town, Society and Employer, Non-Governmental Organization, Media and the special category Act of the Year. The 10th Roma Spirit 2018 will culminate on the 25th of November 2018 with the Gala Evening Ceremony Announcement of the 21 nominated award laureates – three in each of the categories. Winners of the award will be selected by the International Jury and Act of the Year Jury. The record of the Award Gala Evening will be traditionally broadcasted by the Dvojka RTVS. The partnership on the Roma Spirit project has been accepted by all those, who care for Slovakia to be a good country for live in, where equality and solidarity go hand in hand with morality and decency. 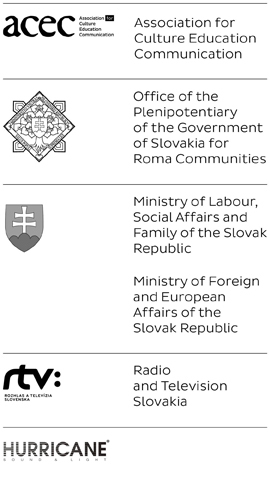 Thanks for the long-standing support of Slovenské Elektrárne, Radio Expres, Open Society Foundation, Hurricane, European Commission in Slovakia, organizations Roma for Slovakia and Romed. We welcome new partners from the Carpathian Foundation, People at Risk, Two Llamas Studios, and the lawyers company Squire Patton Boggs. Every year, Roma Spirit is being implemented thanks to the financial support of the Ministry of Culture of the Slovak Republic.